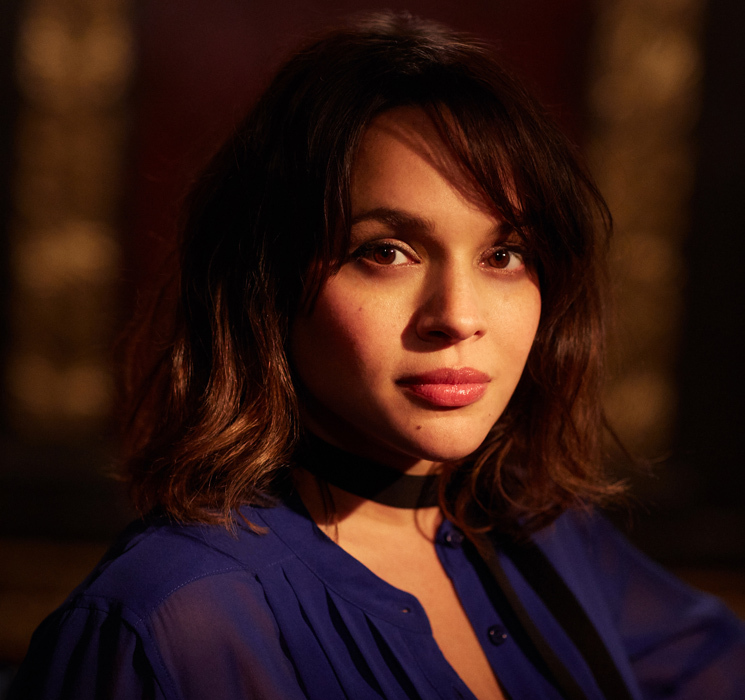 At this stage in her career — 50 million records sold worldwide and counting — singer-songwriter and musician Norah Jones has nothing to prove. As a jazz singer who also deals in soul, blues and folk-based pop, Jones has a body of work, highlighted by breakthrough 2002 debut Come Away with Me, that speaks for itself. As the follow-up to 2012's Little Broken Hearts, new album Day Breaks (out now on Blue Note/Universal) sees the Grammy-winning artist and new mother in a reflective, reverent mode; guests include jazz masters like saxophonist Wayne Shorter and percussionist Brian Blade, and her takes on material from Duke Ellington to Neil Young speak to an old-style jazz approach with modern sensibilities. Exclaim! recently spoke to Jones about her latest album, and here's just a bit of what we learned. 5. Day Breaks is a new take on old jazz but with original material. I knew I didn't want to make a standards album, like a throwback album. I knew that I wanted to do something original, but until you have the songs, it's kind of hard. It's interesting, usually when I write I'm just inspired and something happens — a melody or music just spurs a song. It's weird to think of things in reverse: like, oh, I have this sound in my head but I don't have the song to go with it. So the songs kind of trickled in one by one; some of them came in a way that was total different from what I was thinking. 4. She loves artists like Kendrick Lamar but would rather play old records than listen to any new stuff. I hear it, of course. I hear stuff that's out there. I hear pop music, and I'm mesmerized by Kendrick Lamar on TV when he performs. But I listen to a lot of old music. That's just what I put on. Some new stuff I try, but it usually doesn't stick. It's not that I don't like it, it's just that I tend to listen to old music all the time. 3. She's recorded with hip-hop acts like Q-Tip and Outkast in the past and would do it again. Just call her. I would love to. I'll answer the phone if those collaborations come about. I got a phone call and was really stoked to do them. 2. Motherhood hasn't altered her outlook on music… too much. I don't think it's really changed as much. I mean, everything influences everything in a profound way. The only thing I can think that's definitely been very interesting is it's made me rethink or think differently about love songs. Which I think is really sweet — you hear a song like 'God Only Knows,' that Brian Wilson song. After I had my son, I think about that song and it make me want to cry thinking about my son. And so I love that. And writing love songs too, like, there's a song on the album that's about my husband, and after I had my baby, it really changed the way I thought about it. 1. She won't make new music — unless she's inspired to. I think for me, success is enjoying what I'm doing — and not ever making music that I don't want to be making, or feeling like this is boring. It's about following your inspiration, whether that takes you to a left-of-centre place that maybe your fans won't get — it doesn't matter if that's where it's taking you. If you're not going to be doing this job to be creative and be inspired, you should not make music, personally. So for me, that's success — staying inspired and trying different things, trying to stay true to yourself, which means following wherever it takes you. When you make an album, you should feel like that about every song or you should just cut them. I feel like they all have different flavours.